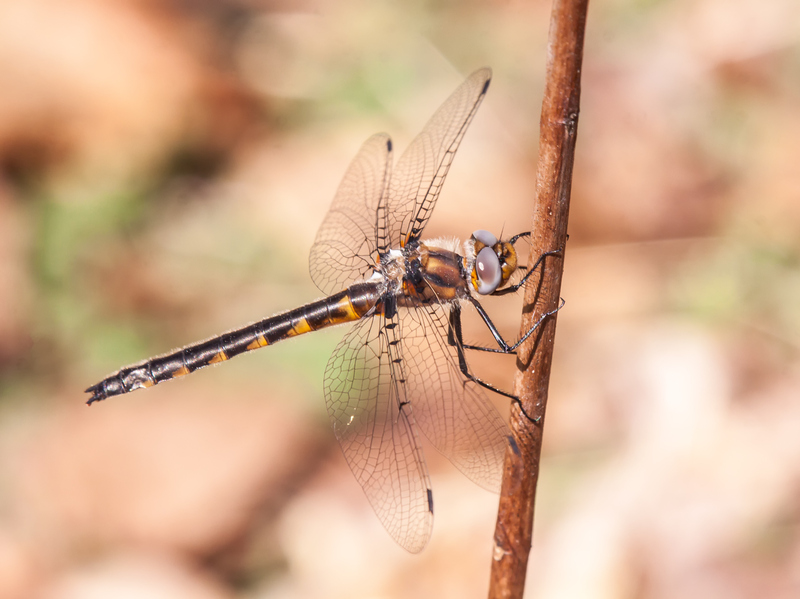 It will be a few more months until dragonflies reappear in our area, so for now I have to content myself with this one in my front yard that I photographed yesterday as the snow was gently falling. 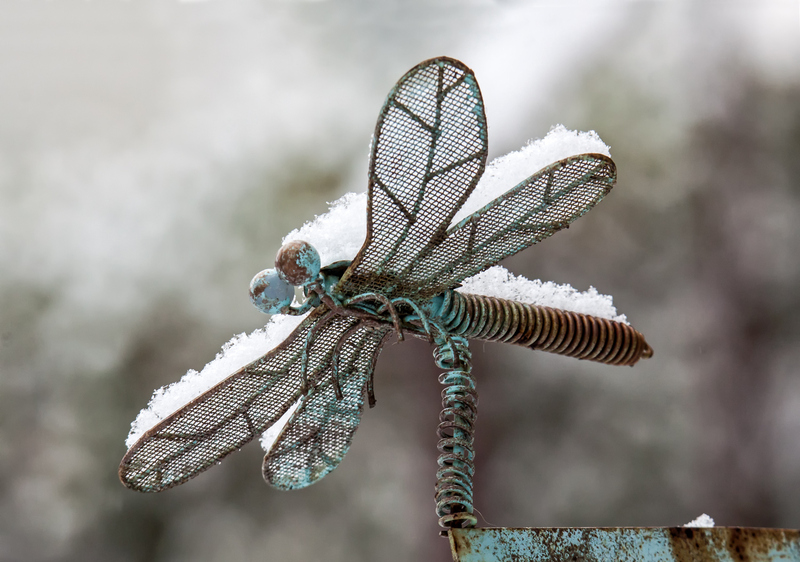 This metal dragonfly is part of a raised sprinkler that stands about three feet tall (about a meter). As another year in my journey through photography comes to a close, I decided to share a few of my favorite photos of the past year. I initially planned to choose one image for each month and that was doable for the first few months of the year. Once I moved into the prime seasons for shooting, though, there were so many good photos I couldn’t select a single one, so I chose multiples for those months and ended up with these thirty photos. 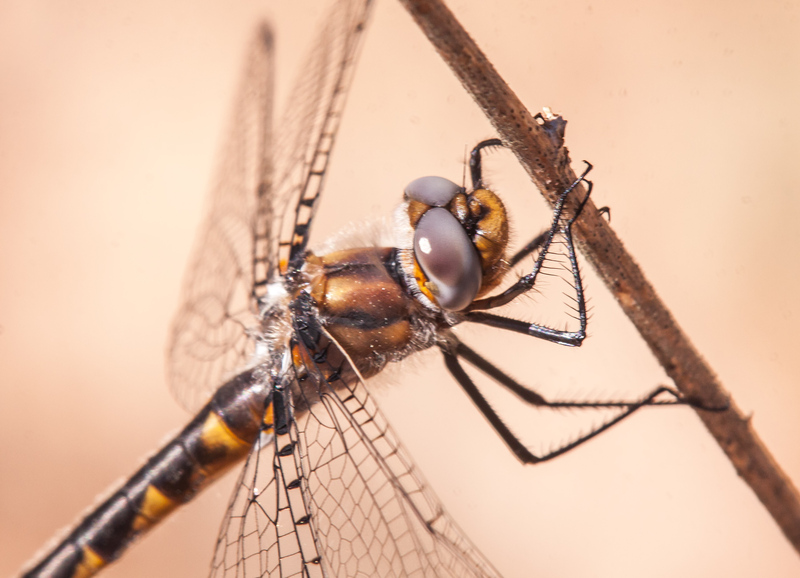 If you want to see the images in a larger size, all you need to do is click on one of them and they will then be displayed in a slide show format. Thanks so much to all of you who have followed my blog postings and supported and encouraged me in so many ways. It has been a wonderful year and I look forward to more photos and new adventures in the upcoming new year. Happy New Year to you all and best wishes for a blessed 2019. Yesterday we were blessed with a sunny, warm day. 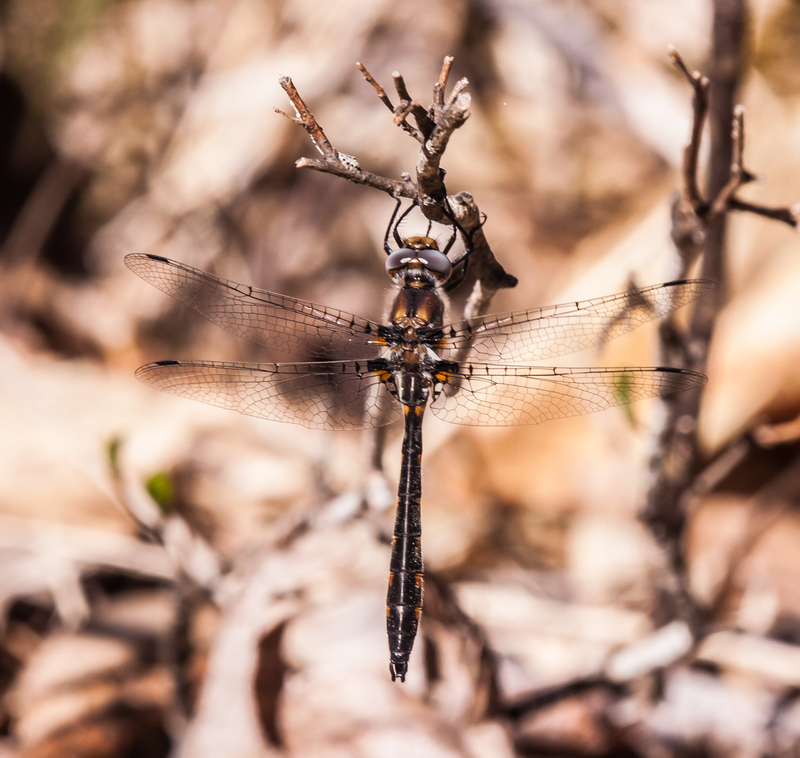 The temperatures rose to over 60 degrees (16 degrees C) and my hopes that I might see some dragonflies increased correspondingly. This autumn season we have already had some sub-freezing temperatures and even a couple of inches of snow. 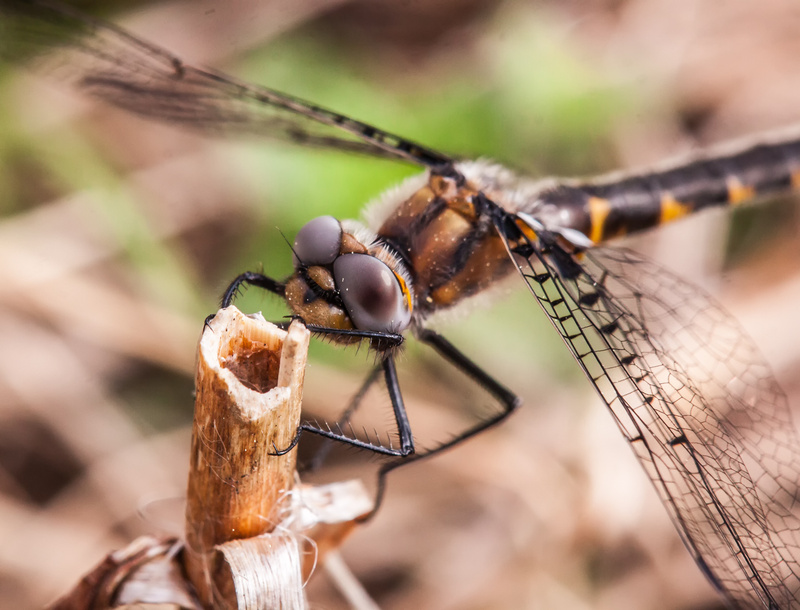 However, my past experience has shown that Autumn Meadowhawk dragonflies (Sympetrum vicinum) are unusually hardy. 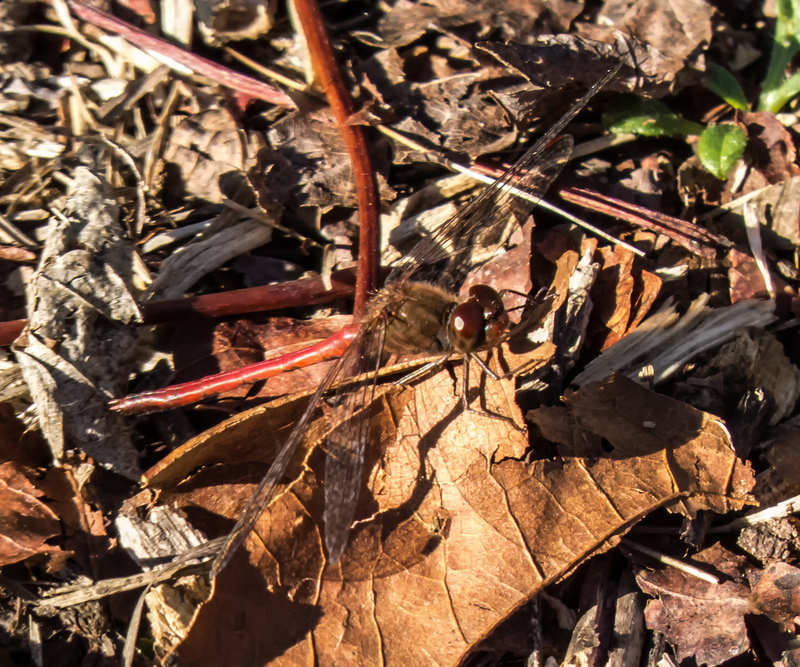 Autumn Meadowhawks are small, about 1.3 inches (33 mm) in length and tend to perch on the ground, which is now covered with fallen leaves and other debris. 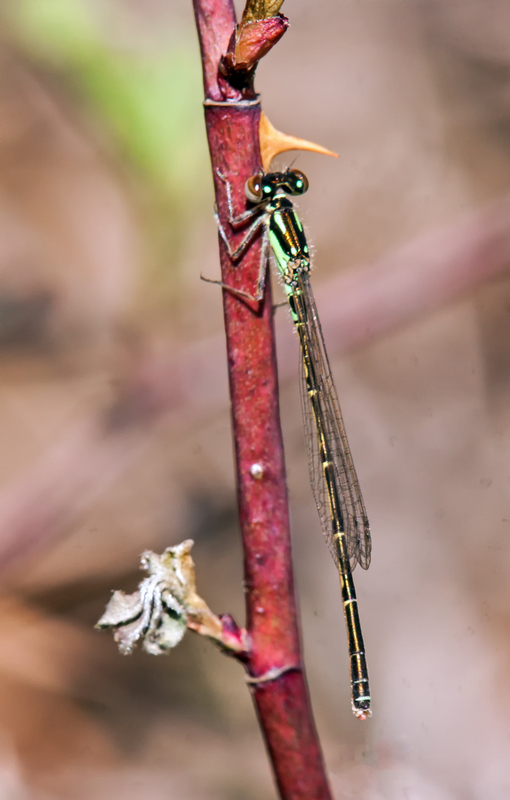 As a result, it is pretty hard to spot these little dragonflies, despite their bright red coloration. 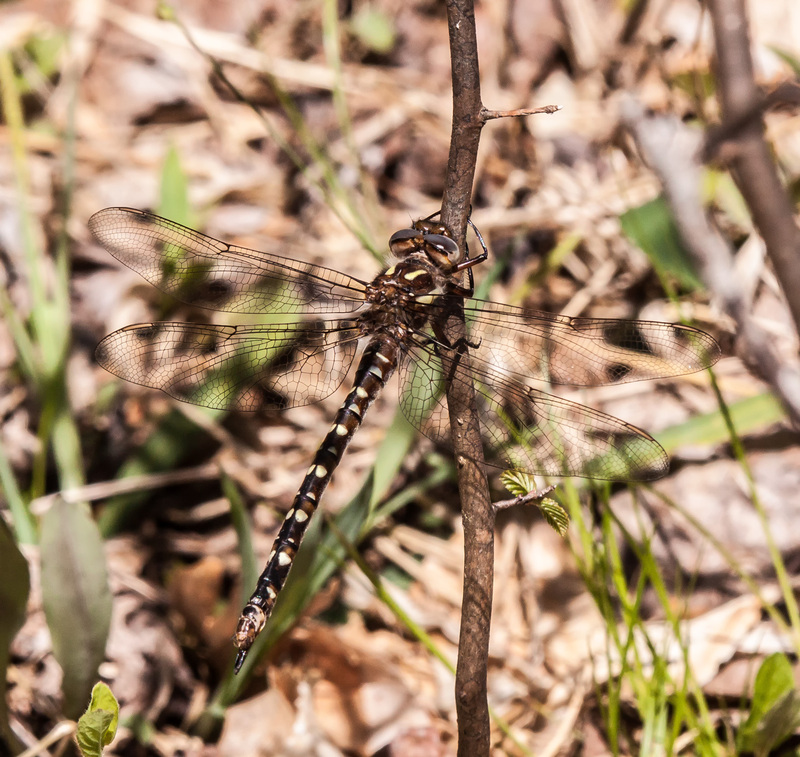 I searched and searched and eventually found a few of them at Occoquan Bay National Wildlife Refuge. 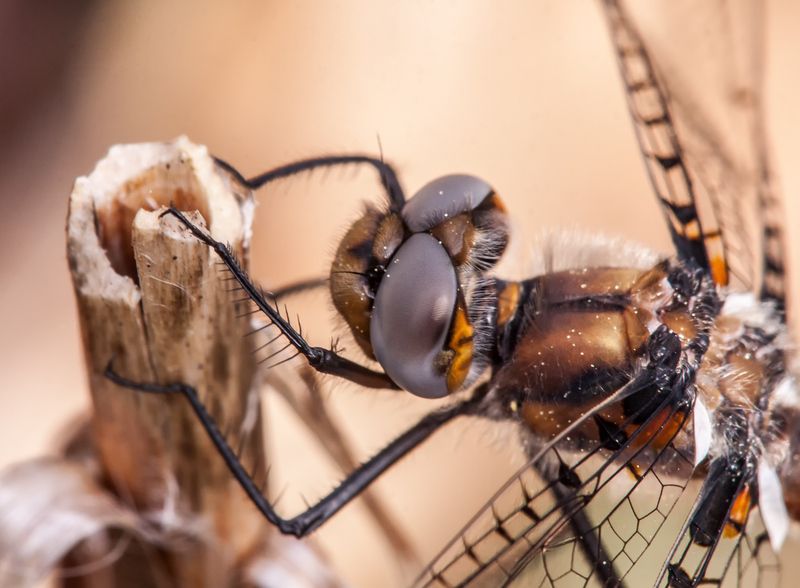 I was able to capture a number of images and decided to feature this one, because it gives you a good look at the dragonfly’s beautiful two-toned eyes. Today we are back to cooler temperatures and there is snow in the forecast for this weekend. 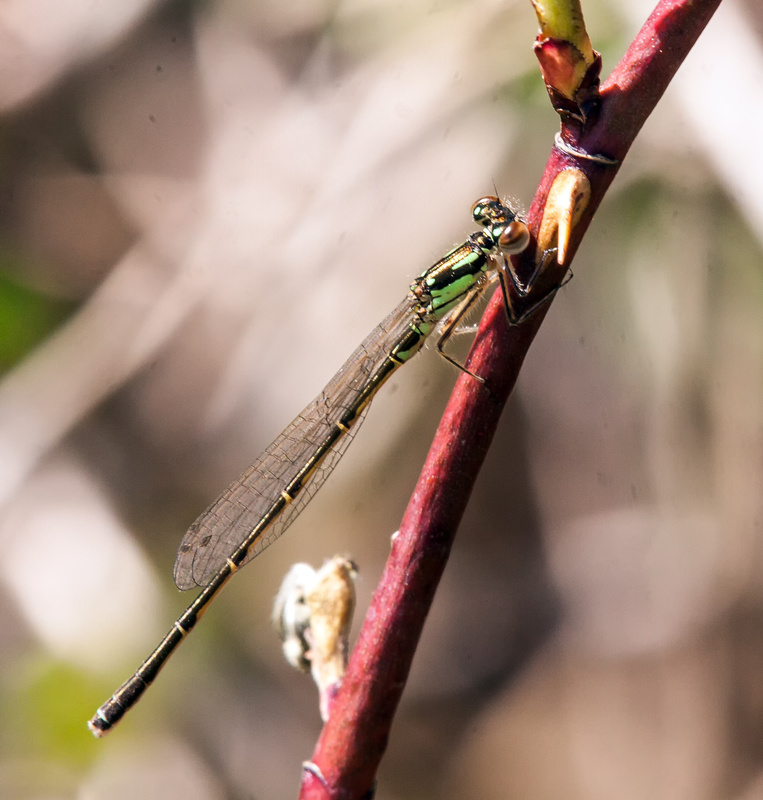 Will this be my last dragonfly of the season? 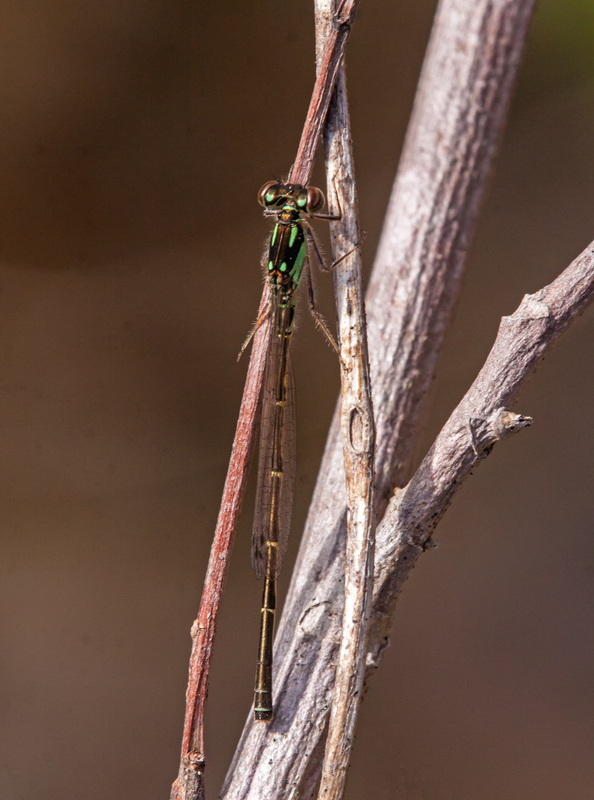 I will continue to search for dragonflies for another month or so, though I know that my chances of finding one of these beautiful aerial acrobats will continue to drop.